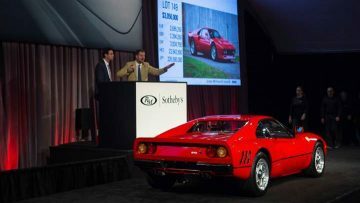 At least 23 cars sold for more than a million dollar at the various Scottsdale, Arizona, 2019 classic car auctions with Gooding selling the top three – all Ferraris. 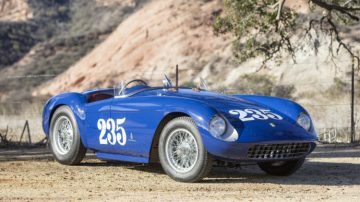 Results at the Scottsdale, Arizona, 2019 classic car auctions were mixed with Gooding selling the most expensive cars while other auctioneers struggled with their top lots. * Scottsdale total also include results from Russo and Steele, Worldwide Auctioneers and Silver. ** Include post-hammer deals announced in first published results. Although the most-expensive cars at both Bonhams and RM Sotheby’s failed to sell, the overall numbers for their auctions were not that disappointing. Bonhams actually increased the sell-through rate but sensible brought cheaper cars to the auction even though that hurt the bottom line. RM Sotheby’s earned less from selling more cars than a year ago but even here the sell-through rate remained respectable. Gooding had the best auction of the three catalogue auction houses. Not only the three most-expensive cars of the week but also by far the highest average price per car without hurting the sell-through rate. Hagerty reported strong interests in cheaper classic cars below $250,000 dollar but cars near or above $1 million struggled to sell. Only 48% of cars with million-dollar-plus estimates were sold. 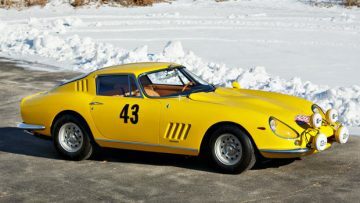 Gooding did well with three regular top Ferraris but the 1964 Ferrari 275 GTB Prototype, as well as the 1957 Ferrari 250 GT Coupe Speciale at RM Sotheby’s, seemed too specialized to value correctly in an uncertain market. Note: Include charity lots, may exclude post-hammer deals. 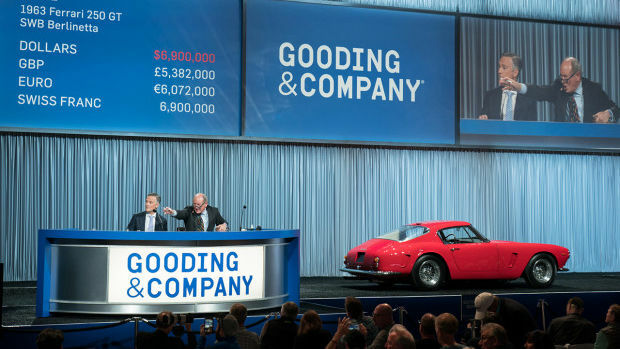 It was a clean sweep for Gooding at the Scottsdale 2019 classic car auctions: Gooding sold the top three most-expensive cars and half of the top ten whether charity lots are included or not. Although the results for the 1963 Ferrari 250 GT SWB Berlinetta, 1958 Ferrari 250 GT Tour de France Berlinetta and 1953 Ferrari 250 MM Spider were not particularly strong, they do show that there is demand for good automobiles at fair prices. It seems David Gooding succeeded in convincing sellers that realistic reserves reflect current market conditions not the top-end of 2015-2016. RM Sotheby’s had a strong result with $3,360,000 paid for a 1985 Ferrari 288 GTO. Although this was a low-mileage example, the $2,507,000 result Gooding had for a similar model is more standard for the model. Although only 272 of these supercars were made, prices remained fairly stable at $2.5 million with often little interest among bidders. 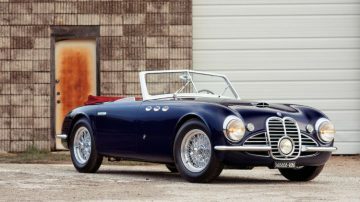 Bonhams top result was $2,755,000 for a stunningly beautiful 1951 Maserati A6G/2000 Spider – one only three produced with Frua spider bodywork. 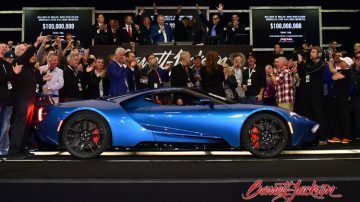 Barrett-Jackson sold several cars for charity and had million-dollar results for three: a 2019 Ford GT Heritage Edition achieved $2.5 million, a 2020 Toyota Supra $2.1 million and 2020 Ford Mustang Shelby GT500 was bought by CEO David Jackson for $1.1 million. All three are the first cars produced in the series and thus also model record prices. 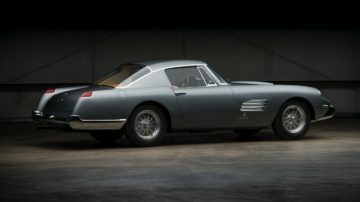 The 1967 Ferrari 330 GTS and 1952 Ferrari 212 Europa Cabriolet achieved solid results while the 1963 Ferrari 250 GT Lusso sold for above upper estimate. A 1948 Tucker 48 sold for mid-estimate $1.6 million. The in-auction highest bid of $2,150,000 for the 1958 BMW 507 Roadster Series II at RM Sotheby’s was initially refused but the car was sold post-hammer for $2,175,000. Accepting the bid in-auction would have yielded the seller more and the buyer got a good deal. 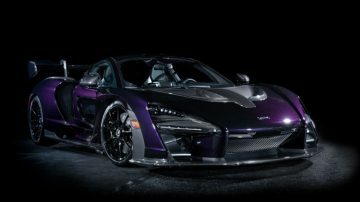 Barrett-Jackson sold a 2019 McLaren Senna for $1,457,000 – a quick turnaround profit for the seller: the new car sold for around $840,000 before options. All 500 scheduled for production have already sold, so the “second hand” market is the only way to buy one now. The black amethyst car was chassis no 5 and one of the around 120 in US specification. Barrett-Jackson also set a model record for the huge 2014 Mercedes Benz G63 6×6 that sold for $1,210,000. Like the Senna, this was the first of the model sold at public auction. The vehicle has less than 1000 miles on the clock and with a Show and Display permit is severely restricted for use in the USA. With seven Mercedes Benz 300 models available at the various Scottsdale 2019 auctions, this clearly turned into a buyers market probably enhanced by six more being available in Paris in early February 2019. 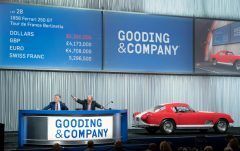 Gooding achieved two million dollar results, including a very good $1,435,000 for the 1955 Mercedes Benz 300 SL Gullwing that originally belonged to Herbert von Karajan, the famed Austrian conductor of the Berliner Philharmoniker symphony orchestra. Gooding also sold a 1957 Mercedes Benz 300 SL Roadster for a within-estimate $1,006,000. Worldwide Auctions sold a 1959 Mercedes Benz 300 SL Roadster for $990,000. Bonhams sold a 1955 Mercedes-Benz 300SL Gullwing Coupe for $1,110,000 after the highest bid of $1,050,000 was initially declined. 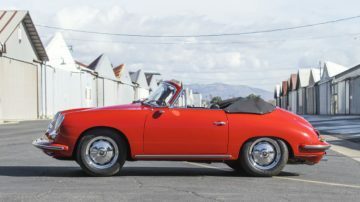 The only Porsche achieving a million dollars was a 1963 Porsche 356B Carrera 2 GS Cabriolet that Bonhams sold for $1,005,000. Similarly, only one of the large number of Shelbys on offer achieved such result: $1,050,000 for a 1964 Shelby 289 Cobra at Gooding. RM Sotheby’s had a good $1,077,500 result with a 1956 Bentley S1 Continental Drophead Coupe. Note: Highest bids as observed during sales / reported by Hagerthy. Some cars may have sold in post-hammer deals. List not complete, especially regarding bids below $1 million. 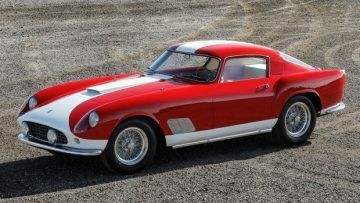 The highest bid during the Scottsdale 2019 collector car auction week was $7.5 million for the 1957 Ferrari 250 GT Coupe Speciale at the RM Sotheby’s Arizona auction. However, that bid was way off the pre-sale estimate of $11 to $13 million and not surprisingly not accepted. The Scottsdale auction week record remains $9,900,000 paid for the 1937 Mercedes Benz 540 K at the RM Sotheby’s auction in 2016. 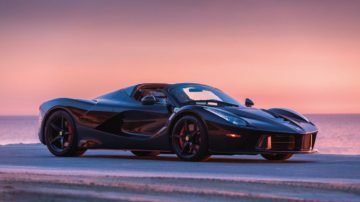 The second highest unsuccessful bid was also at RM Sotheby’s: $5.5 million for a 2017 Ferrari LaFerrari Aperta. A similar, even lower mileage car failed to sell with a highest bid of $6.1 million a few days earlier at Mecum Kissimmee 2019 and is still available for $7 million. Sellers clearly expect a bigger profit than buyers are willing to give on this model. The highest unsuccessful bid at the Gooding sale was $4,750,000 for the 1964 Ferrari 275 GTB Prototype. This car was the development car for the popular 275 series and participated in the 1966 Monte Carlo Rally. The top bid at Bonhams was also for a Ferrari: $4 million for the 1954 Ferrari 500 Mondial Series I Spider. It is a stunning car with interesting provenance but similar models haven’t sold for much more at recent auctions. Bugattis generally flopped at Scottsdale 2019. Bonhams failed to sell a 2018 Bugatti Chiron despite a fairly low estimate (and reserve). Two EB110 GTs failed to sell, although the one at Bonhams came very close to the reserve. A 1931 Bugatti Type 46 Superprofilee Coupe failed to fly at Bonhams while Gooding did sell a classic 1936 Bugatti Type 57 Two-Light Ventoux for a respectable $885,000. It will be a buyers market at Paris 2019 where around 20 Bugattis will be available from early classics and children’s cars to modern Veyrons and a Chiron. 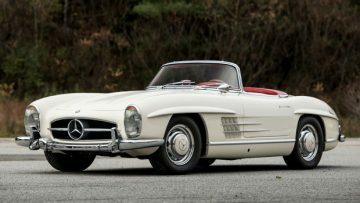 It was also a buyers market for Mercedes Benz 300 SLs – seven were available at the Scottsdale 2019 auctions. While Gooding sold two for over a million and Worldwide one for $990,000, four others went unsold. 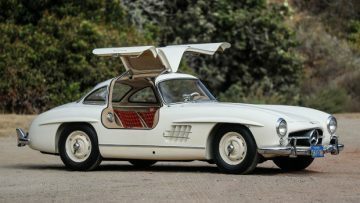 (The Gullwing at Bonhams sold in a sensible post-hammer deal.) Gooding received a highest bid of $1,550,000 for a 1963 Mercedes Benz 300 SL Roadster but it is an exceptional car (and still available for $1,850,000). Bidding for the others ran out of steam around the million-dollar mark, although generally only around 10% off lower estimate. Unless the market picks up drastically, and given the high numbers coming to auction that is fairly unlikely, sellers may regret trying to hold out for more.